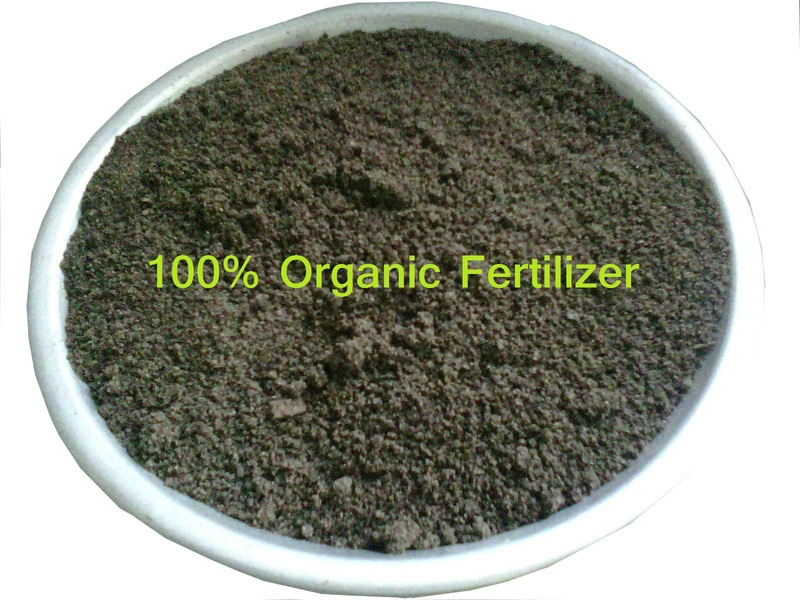 We Offers Organic Vermicompost Fertilizer in Ahmedabad for Home, Farmhouse, Fruit Orchards, Corporate Gardens, Golf Courses, Lawns, Nursery Plant Propagation, Greenhouse (Net house), Vegetable Kitchen Garden and Other Agriculture, Floriculture, Horticulture Use. 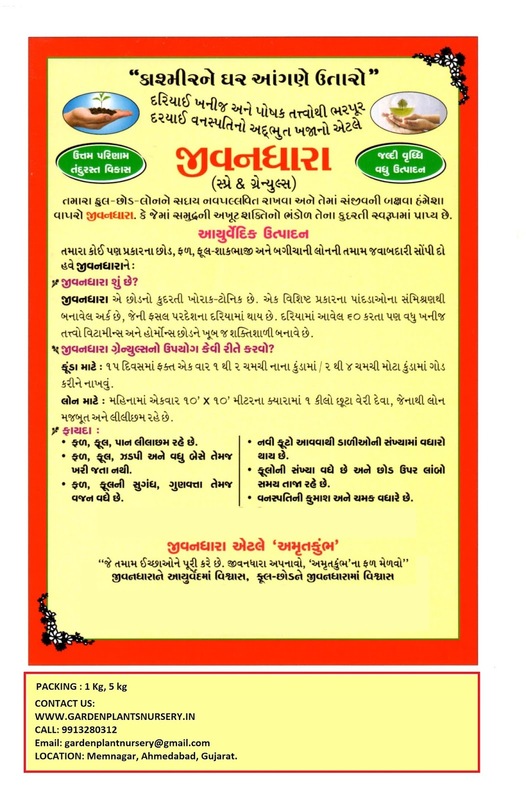 Vermicompost Fertilizer is 7 times more powerful than cow dung and cost effective too. 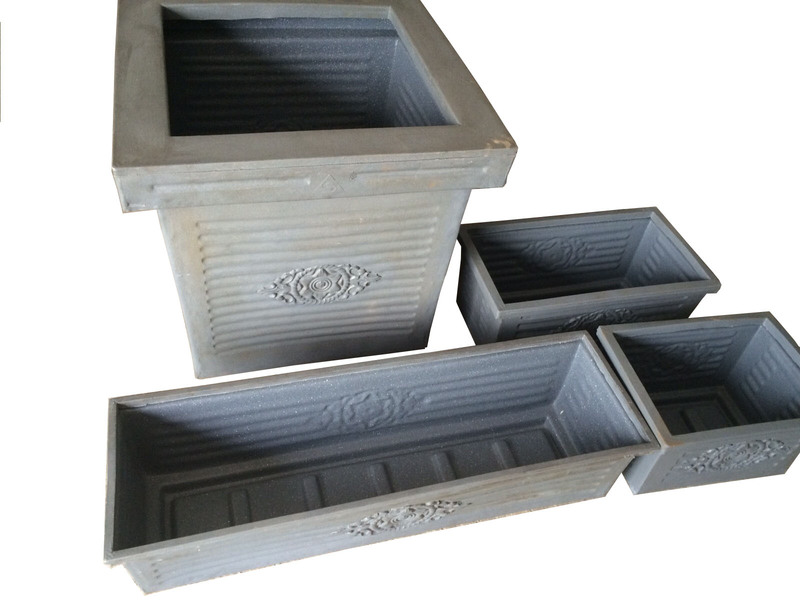 Vermicompost is also used in Horticulture Crops like Pomegranate, Mango, Coconut, Guava, Custard apple, Sapota (chickoo), Lemon, Orange, Papaya and other fruit plants. 1 kg, 5 kg, 10 kg, 20 kg, 50 kg (For Agriculture). Hum Care - For Fast rooting plant cutting propogation, seed treatment use. 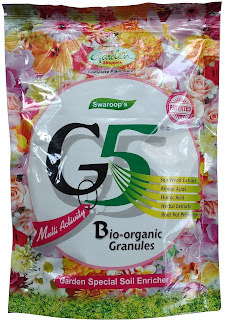 G5 Granules - Bio Organic Granules Contains Sea weed, Amino Acids, Humic Acids, Herbal Extracts, Neem Herbal extracts. "This Vermicompost fertilizer Prepared from only Cow Dung and Help of Earth Worms." It Makes the Soil Lively, and does not harm the Soil. In Vermicompost there are no chemical or detergent. No insects in Vermi Compost. 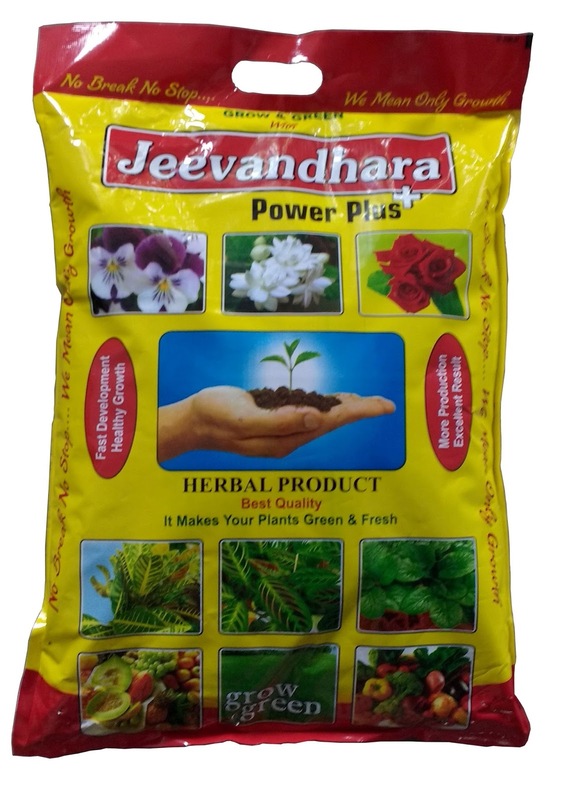 In planted bed for each plant 400 gm to 500 gm for big plants 1 to 2 kg. For fruit bearing plants 5 to 10 kg. For Lawns 1 to 2 kg per square. meter. Give above application in 3 to 4 times in a year. Vermiwash Rs. 70/- 1 Litre. Contains Growth Enzymes Such as Nitrogen, Phosphorus, Potash and Micro Nutrient. Gets Protection from Disease and Insects due to Good health of the plant. A Significant Increase is Observed in the production strength of the plant. 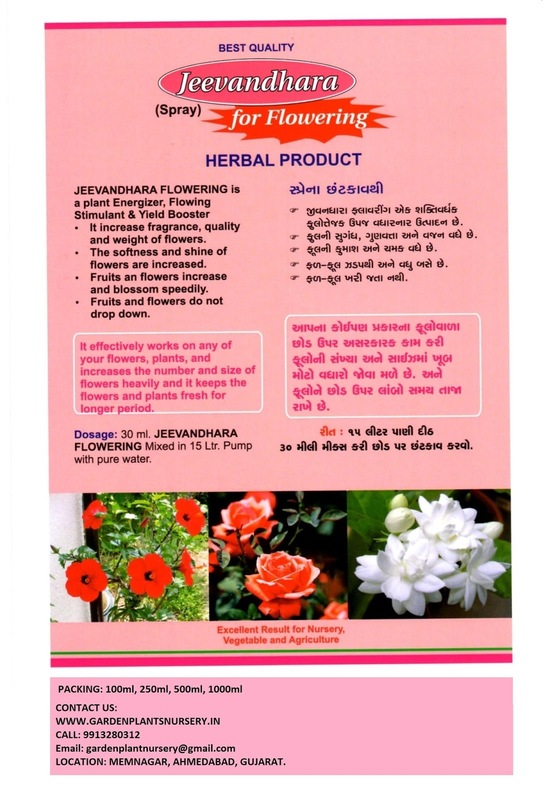 It is very beneficial for the overall development of each plant in each stage. Vermiwash can increases the Rate of Photo synthesis in crop/ plant. It Increases the Microorganisms in the Soil. 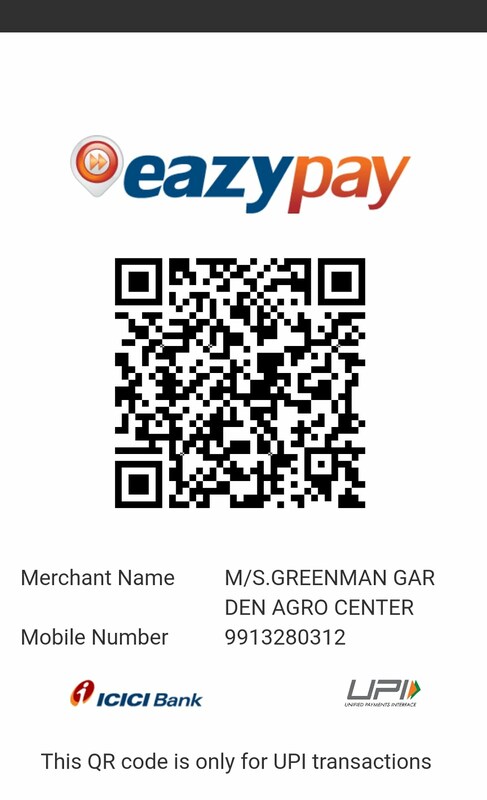 It Increases the Crop yield. Vermiwash is cheaper than Chemical Fertilizer (N.P.K., DAP, Potash) and Micro Nutrients which are Sold in the Market. Spray and Drip, Can be given in Soil. Can be used with every type of Organic Insecticide/ Fungicide. 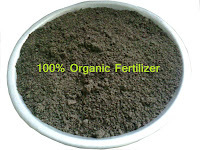 Vermiwash is a Organic Liquid Fertilizer. 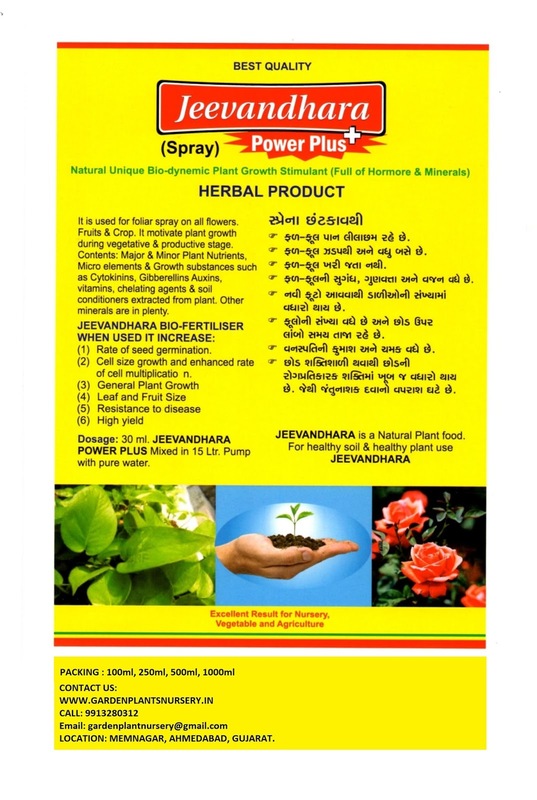 Can be used as Foliar Spray on plants parts like leaves, stem, branches. Vermiwash should be Stored at Cool Dry Place. Can be given in quantity of 5%, 10% Vermiwash diluted with Water(10% ) before Spraying. Time for Application is Early Morning and Evening. 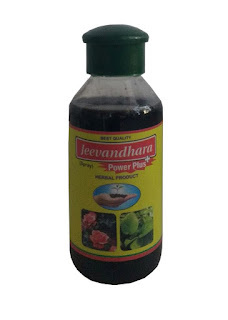 Add Pinch of Detergent Powder in Vermiwash to Get Good Results, because Detergent works as a Sticker Vermiwash Can Stick on the Plant Long time. 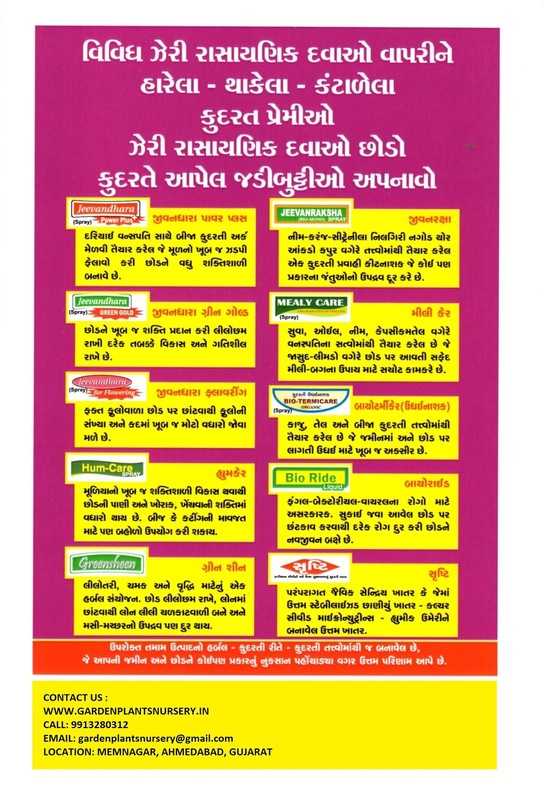 Vermiwash Can Be Mixed with Cow's Urine (Gaumutra) and Diluted (1 liter of Vermiwash, 1 liter of Cow's Urine in 10 Liter of Water) and Sprayed on the plants to function as an effecting foliar Spray and pesticide. In Fruit Plants - Vegetables: Give Approx 4 to 5 Kg in 1 Bigha (1621 square metres) before Sawing Seeds, Then after at the time of flowering give 2 kg or 20 gm per plant. In Lawns: 10 x 10 Meter Bed 1 to 2 Kg Once Every Month. Garden Plants Bed or Pot: 1 to 2 teaspoon per plant Once in 20 days (Dig Up-down Soil and Apply Near Root) Or at the Time of Planting the Plant Mix 50 gm with Soil. 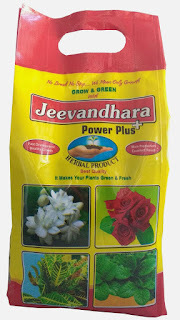 You Can use Jeevandhara Bio Fertilizer in Garden Plants, Lawns, Hanging Basket, Garden Pots, Flower Plants, Fruit Plants, Kitchen Garden, Floriculture, Horticulture Use. For Greenery, Growth and Shine herbal extracts. Keeps plant Green, Sprinkling Increase Shine of Lawn. Dosage : Use 25 gms G5 Granules per plant for flowering ornamental & fruit plants, vegetable kitchen garden etc. Use 500 gm G5 Granules per 1000 sq. feet for Lawns. Application : Apply near roots by making ring method seperately or along with other fertilizers & manures. 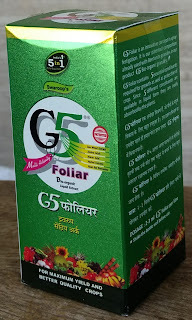 water the plant after G5 Granule usage. G5 Foliar Bio Organic liquid extract for Home Garden, Kitchen Garden, Terrace Garden, Indoor & Outdoor Decorative & Flower Plants use. 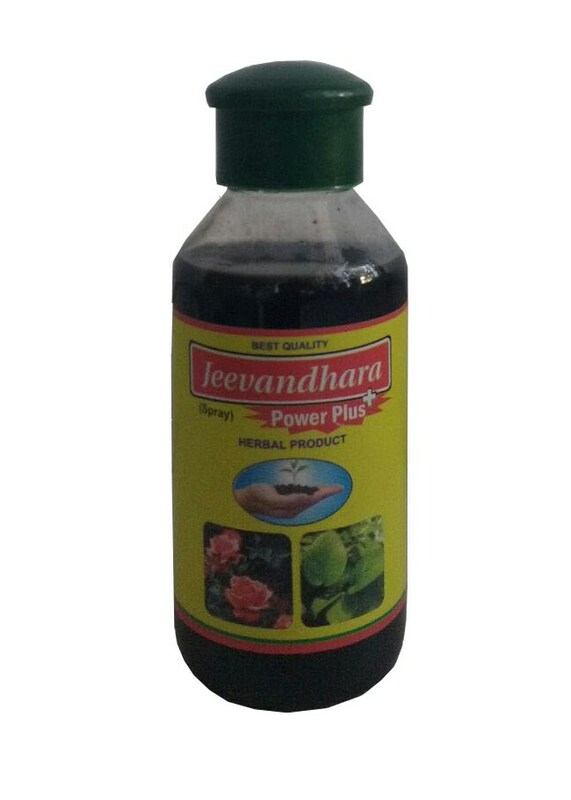 Contains 5 Elements in 1 like Seaweed extract, humic acid, amino acid, herbal extract, root rot preventor.